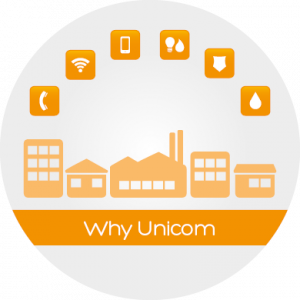 See why so many of the UK’s small businesses choose to have their services with Unicom. One Provider. One Bill. One Solution. Unicom is proud of the value we provide to our customers. Unicom provides more than 50,000 small businesses with outstanding value for money on business line rental and calls, broadband, mobile and energy services, supported by a dedicated team of UK customer service advisors. See why switching to Unicom can benefit your small business. * Your renewal quote will be provided by your supplier at the end of your current contract. If that first renewal quote is cheaper than the prices agreed with Unicom (please note you must provide Unicom with a copy of your first renewal quote), Unicom will beat that quote, or if it can’t, will let you cancel your agreement with Unicom without charge. ** The fixed prices may be varied as per your Terms and Conditions, a copy of which is available at www.switchingon.com/terms-and-pricing.